Yes. 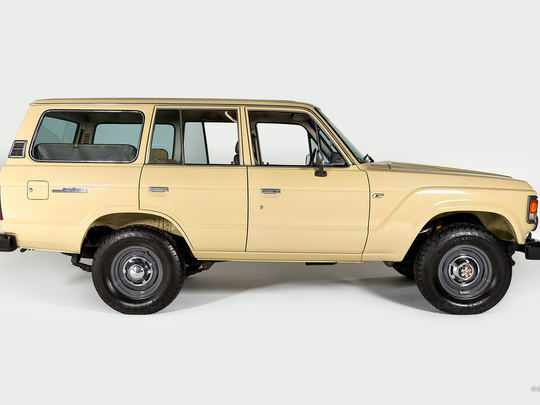 You are looking at an un-restored FJ60 Land Cruiser from 1981. This stunning modern classic features a 2F-engine, 4-speed transmission, power steering and OEM A/C and heater. When we bought this single-owner 1981 FJ60 Land Cruiser in early 2015, we were quite surprised to come across an immaculate interior and a rust-free body. But, we were almost shocked to discover an odometer reading of 299,000 kilometers. While a full restoration was tempting -- after all, that is our specialty -- we decided a few preservation touch-ups were more appropriate to bring this vehicle back to its full glory. Quite simply, this is one of the best-preserved, left-hand-drive FJ60s in the world.